Diatomaceous earth – composition – what exactly does our diatomite contain? Chemical composition of diatomaceous earth: amorphous SiO2 (91,62%), crystaline SiO2 (< 0,10 %), AI2O3 (1,91%), Fe2O3/FeO (1,4%), CaO (1,3 %), MgO (1,52 %), Na2O (0,65%), K2O (0,4%), SO3 (0,8 %), Mn2O3 (0,3 %), TiO2<0,1%, LOI (5,04%). Diatomaceous earth – health properties. Health properties of diatomaceous earth are due to it is from its composition, that is why it is very important to pay attention to the detailed composition of the diatomite used. The composition of diatomaceous earth results from the geological origin of the deposit from which the product is extracted. Desirable properties of diatomaceous earth are the result of, above all, the high content of amorphous silica (SiO2) and the insignificant content of crystalline silica in the composition. Below are the answers to the most frequently asked questions regarding the health properties of diatomite as well as chemical and physical properties. What is the validity date of diatomaceous earth? Indefinite. The diatomaceous earth consists mainly of shells of fossilized algae in the form of amorphous silica – they lay millions of years in this form – and so they will survive us. They should only be stored in a dry place so that they do not get wet. How much silicon does it provide to the body 1 heaped teaspoon of diatomaceous earth and how does this value relate to the daily requirement of silicon for the human body? The silicon content results from the conversion of, for example, the atomic mass of silicon and oxygen (28 and 2 x 16) – the weight ratio Si to SiO2 is 47%. Taking into account 89% of the amorphous silica content in the diatomite, the pure Si content is 41.8% by weight in the total weight of diatomaceous earth. So one heaped teaspoon (5g) is 2.09 g of silicon. A threefold daily serving is 3 * 2.09 = 6.27 g of pure silicon. The bioavailability of silicon depends on from its solubility. Literature is still poor when it comes to data on human silicon metabolism. This is due in part to various forms of silicon in the diet that differ in their bioavailability. Examples: Studies show silicon absorption at 80% as stabilized H4SiO4 (orthosilicic acid), whereas as Al2 aluminum silicate (SiO3) 3, silicon was absorbed at 1%. Silicon is absorbed by people and animals as silicic acid, especially orthosilic H4SiO4 or ortosilicic H6Si2O7. It is absorbed well from the gastrointestinal tract (50-80%): it can be absorbed from fluids (20-30%) in the form of orthosilicic acid or from solid food (70-80%) in the form of hydrolyzed to this acid. Assuming the assimilation of H4SiO4 in 80% theoretically, the body can take 6.27 g * 80% = 5 g Si per day. In contrast, amorphous silica in the gastrointestinal tract passes into the form of orthosilicic acid not in its entirety. Assuming the lowest value, i.e. 10% bioavailability of Si (silica passes in H4SiO4 and is partially absorbed by the body): 6.27 g * 10% = 0.627 g of pure silicon per day. The daily demand for silicon is 0.375 g – therefore, 3 teaspoons per day should satisfy 100% of the daily requirement, and even provide the body with a double portion of this element. Is diatomaceous earth free from genetic manipulation and “chemistry” and is it a 100% natural product? The diatomaceous earth we offer is a completely natural product, not subject to any chemical, genetic or structural modification. Is the diatomaceous earth mixed with wood ash? No. Our product is absolutely not mixed with anything – it is a 100% pure product without any additives. Incidentally, I found information that diatomaceous earth contains arsenic. The following quote: “In beer, we can also find powdered fish blisters! Karuk, also called fish glue, is used – like diatomaceous earth, which contains, among others, arsenic – as a clarifying agent in the production of wine and beer.” I was a bit worried because I am in the middle of a GP treatment and I do not know whether to take it seriously. The clarification of beer is made of a CRYSTAL diatomaceous earth with a high level of pollution, originating from European resources. This type of soil is not suitable as a food – it can be poisonous due to the large amount of elements unfavorable to health. Our natural diatoms are AMORPHIC, with amazing purity – there is no arsenic. Here I immediately felt: counterfeits of our product appeared on the Internet – crystalline earth is offered as the one that can be consumed. These people, often with their own ignorance or unconsciousness, offer a poisonous product. We do not have any scientific information on this subject, but we found on the web site http://perfectbody.net.pl/pl/article/show/id,42-.html (2017), that silicon should not be used in the place of the procedure. In what form does the diatomite enter the intestines? The diatom shells in cylindrical form dissolve in the stomach dissociating from amorphous SiO2 silica to biologically absorbable orthosilicic acid (about 10%). The rest goes on to the intestines eliminating deposits, toxins or parasites on their way, while gently cleaning the walls of the intestine and being expelled. What is the effect of diatomaceous earth on water to obtain “redox water”? Apparently flooding stones with silicon water, you can receive the “redox” appropriate for the body. Diatomaceous earth is predominantly silica, so it hardly dissolves in water. We do not have professional scientific literature about receiving “redox” (from pouring silicon water) appropriate for the body. The water itself has its own structure (polar) and can follow the structure of silicon – theoretically, therefore, it is possible to modify the structure of water. In this matter, it would be advisable to consult specialists in the field. Is it true that diatomite should not be used with metal spoons (eg to mix it in water)? Diatomaceous earth is chemically inert with metal oxides – from this point of view, metal teaspoons can be used. From another point of view, metal spoons may introduce metal oxides into the body, which is why you may find the opinion that you should not use metal spoons. Dosage of diatomaceous earth and the details of its use can sometimes give rise to some doubts. The use of diatomaceous earth in specific cases is not always clear to you. Can children take diatomite? And people using a specific diet? What about pregnant women and nursing women? Do I have to take a break in the use of diatomaceous earth, can I take it with medication? Dosage of diatomaceous earth also does not always have to be identical for everyone. The most important rule when using diatomaceous earth is drinking lots of fluids and adjusting the dosage to the reactions of our body. Generally, there are no contraindications to take the diatomite all the time with short intervals. Please remember that it is always good to consult your doctor about the details of the treatment. In this section we present answers to questions regarding the dosage and use of diatomaceous earth, which most often reach us. How much 1kg of product is enough for one person? How many months does the treatment last on average? The treatment lasts an average of 6 months, for which 1 kg of diatomaceous earth is sufficient. In what amount of water / liquid do you need to dissolve diatomaceous earth? In fact, in any, even minimal. However, remember to properly fill fluids, drink plenty of water during treatment. What are the recommendations for the body cleansing period? The recommended period of purification is 6 months. Later you can make a 1 month or longer break in the use of diatomite, and then (depending on your will) you can continue for another 6 months and all the time. How long should diatomaceous earth be used for antiparasitic treatment? Use diatomite min. for a few weeks, observe the effects. Later, the diatomite can be taken until it is depleted – it is a very rich source of silicon and at the same time helps in getting rid of heavy metals and various toxins. I have heard that diatomite is best used min. a few months for deworming, but can the product be used continuously to supplement silicon? Yes, diatomite can be taken permanently as part of silicon supplementation. One of the co-owners of the deposit in the US has been using it continuously for several decades, he is 90 and he is doing well. After 6 months of using the product, we recommend taking a one-month break. Can diatomaceous earth be used in pregnant women? Due to the lack of scientific data on this subject and restrictive EU law, diatomite is not recommended for pregnant women, lactating women and children under 12 years. In these cases, we advise you to consult a doctor. If the diatomite is administered to a younger child on their own responsibility, the body’s reactions should be carefully monitored and the dose administered should be half that recommended for adults. Is it possible to give diatomite to a celiac disease patient or is it a gluten-free product? Amorphous diatomaceous earth from a freshwater deposit is a 100% natural product, without any enhancers, preservatives, additives, etc. It is obtained first from the deposit, later crushed (to achieve a loose texture) and so much – ready for use. It is therefore not contaminated with gluten. Its composition is over 90% of amorphous SiO2 silica in the form of tiny silica shells. The rest are other mineral compounds – harmless, and even beneficial to health. The content of trace elements, e.g. mercury or arsenic – at the level of several ppm, or several parts per million (completely unnoticeable, in line with standards) – which puts our product at an absolutely unique place in the world in terms of cleanliness. We do not know scientific reports on the use of diatomite in the treatment / support of celiac disease, please pay close attention to the body’s reaction at the beginning of the treatment, if necessary to reduce the dose or discontinue disturbing reactions. Drink lots of fluids. It is recommended not to administer diatomite to young children. However, diatomaceous earth is approved for the production of baby foods. How to interpret it? Diatomaceous earth is approved for infants as a food additive (content in food is about 2%). Our product is 90% pure amorphous silica. It is also important not to dehydrate the child because diatomaceous earth absorbs water in the digestive tract very much. In addition, the walls of the infant’s intestine may still be very thin and very sensitive to the mechanical action of diatomite (slight rubbing). Therefore, it is not recommended to use diatomaceous earth in infants and very young children. The use of diatomaceous earth by children under the age of 12 is not recommended simply because these are the rules. Does diatomaceous earth help on joint ailments, motor apparatus? The literature shows that diatomite has a positive effect on the good condition of joints, tendons and bones. Please, however, be aware that each of us has a unique, unique body – one can help others not necessarily, because the cause of the poor condition of the musculoskeletal system may not be a deficiency of silicon in the body. Can diatomite be used with kidney stones? There are no contraindications for kidney stones. Can diatomite be taken before gastroscopy, colonoscopy? We have no reports on contraindications for the use of diatomaceous earth before gastroscopy and colonoscopy. Is it necessary to introduce a diet when using diatomaceous earth? You do not need to enter any diet. Diet is an individual choice of each for us. You only need to drink lots of fluids. Does the use of diatomite affect multiple sclerosis? There are articles indicating the beneficial effect of amorphous diatomaceous earth on multiple sclerosis. The mechanism of action is to help eliminate heavy toxic metal elements. Please review the article: https://www.westonaprice.org/health-topics/environmental-toxins/mad-as-a-hatter/ (2017). Does diatomaceous earth affect homeopathic remedies? The use of diatomite has no impact on homeopathic medicines. Can diatomite be used together with chlorella and spirulina? Diatomite can be combined with chlorella and spirulina. What’s more, scientific research has shown that diatomaceous earth can be a good carrier deep into the body of medication. How and for how long can diatomaceous earth be used for horses? The diatomaceous earth can be fed with a feed of approximately 140 g per day per individual or in a separate container. The animal will usually take diatomite until its body recognizes that it does not need it more. Breeders have found that diaper-fed colts grow faster and have healthier bones, and their tendons are stronger. Please remember to also use ONLY amorphous diatomaceous earth in animals. Crystalline, used for filtration in the food industry, swimming pools, etc. IS HAZARDOUS TO HEALTH for higher animals. Unfortunately, scammers have already appeared on the Polish market selling diatomaceous earth as food, also for animals. Diatomaceous earth has been used in cosmetics for some time. It has been known for a long time that silicon has a beneficial effect on the healthy appearance of the skin, hair and nails. This also applies to hair or feathers in animals. The diatomaceous earth in cosmetics can be used, for example, for the preparation of facial masks and body creams. Some people have great praise for mouth rinses created by mixing diatomite with water. Currently, cosmetics created only from natural products are gaining more and more popularity – they are healthy and safe for us, but also for the natural environment. From our side, we encourage you to try diatomaceous dust for the skin (more to read in the “products” section), which greatly cherishes burns and irritation, leaving the skin soft and neat. The use of diatomaceous earth in cosmetics is undoubtedly an interesting alternative for cosmetics made from synthetic ingredients. If you have any doubts, we encourage you to send us queries and create this department with us! I do not use toothpaste on the market and therefore I am looking for alternatives. Is it possible to use diatomite for brushing teeth without harming enamel? Our diatomaceous earth is an amorphous variety of organic (natural) silicon dioxide. Silicon contained in it is one of the hardest elements on earth – therefore, we do not recommend cleaning with diatomaceous earth teeth. You can, however, rinse your mouth – it perfectly removes unpleasant odors and eliminates gingivitis and periodontitis. Can diatomaceous earth be used as a face mask? Diatomite as a peeling mask – a great idea! It is also great for removing any “sweat” and face contaminations or other areas of the body. The effects can be seen really quickly, although it is known – every organism reacts differently. To create a mask, diatomite should be mixed with a small amount of water. Diatomaceous earth for bedbugs, fleas and all running or jumping parasites can be used on the principle of dusting infected rooms or direct application to infected skin. In contrast, diatomaceous earth for internal parasites is used by its consumption. In both cases, the mechanism of action is similar. Diatomaceous earth parasites deterred or damaged by draining and destroying their coatings, as well as preventing their reproduction. Please remember that diatomite is not a chemical that ruthlessly annihilates everything in its path, but a completely natural preparation, which may require a little more time, but it is a great alternative to chemical, often dangerous for health and environmental solutions. There are many scientific reports confirming the anti-parasitic action of diatomaceous earth. We encourage you to send your own insights on the effects of diatomaceous earth on fleas, bugs, internal or external parasites. How and if does the diatomite fight against roundworm parasites or does it help to remove their remains from the body? Amorphous diatomaceous earth can help in combating worms – maybe because it is a product of natural origin, not a chemical agent that destroys everything that you encounter along the way. The mechanism of elimination of parasites – physical destruction of the shells / drying of the parasite. The second mechanism of action is to help eliminate parasites by mechanically sweeping them out of the intestines. Is it necessary to additionally use digestive enzymes when using a diatomite against parasites? You can, but it is not a necessary condition. Taking enzymes can improve the process of decomposition of eliminated parasites. Will the diatomaceous earth after spraying in the apartment harm the tiny baby? The child should not be present when scattering diatomite due to dusting. Later, the child may already be in the room. Even with the use of a completely natural substance like diatomaceous earth, the side effects of ingestion can occur. During treatment with diatomaceous earth, side effects that occur relatively most often include: headaches, constipation and flu-like symptoms. Headaches or problems with bowel movements are usually the result of drinking too little liquid when taking diatomite. In contrast, flu-like symptoms (or skin blemishes) are a typical symptom of the body getting rid of toxins during cleansing treatment. However, the side effects of diatomaceous earth apply only to a few% of people who decide to take diatomite. The most common solution is simply to temporarily reduce the dose. However, it is always advisable to consult a doctor, because the specific side effects with diatomaceous earth may turn out to be unrelated, and the result of, for example, another infection or inflammation that has just developed. Below we present answers to questions about side effects in the use of diatomaceous earth, which we usually get. Are there any contraindications for the use of diatomaceous earth in humans (eg intestinal disease)? What effects can be expected after 10-14 days of use? We do not know contraindications. After 10-14 days, there may be side effects like constipation (when you drink too little water) or flu-like symptoms (if the dose is too high). What to do if I feel bad after using the product? A friend used and felt like he had the flu … How long should the cleansing treatment last? Please start with 1 teaspoon in the morning on an empty stomach and in the evening before sleeping. Drink a lot. If you experience flu-like symptoms (which is the result of the body’s cleansing), please reduce the dose, eg by half, and start the treatment again. You should observe the body’s reaction yourself, if there are no symptoms, then calmly use 1 teaspoon per day, gradually increasing to 1 tablespoon per day (half morning and half in the evening). The treatment may last several months (usually 1-6 months) – this is a slow process. Can eating diatomaceous earth lead to exacerbation of asthma? It’s just about possible inhalation – please do not get too dusty. Eating alone should not affect the exacerbation of asthma, while in the first stage of detoxification, flu-like symptoms may occur – the body may react to the accumulation of possible toxins during their removal. Can diatomite be overdosed? I have been using doses of 2 x 1 x flat tablespoons for several days, no flu-like effects. I want to increase the dose up to 2x a day after a heaped tablespoon for 250ml (glass) of water. Are there any contraindications? One glass of water is definitely not enough. With increased amounts of diatomaceous earth fed, constipation and the effects of accelerated detoxification may occur, drink plenty of water. In addition, there is an increased risk of side effects associated with the possible reduction of atherosclerotic plaques (dizziness). Please, watch your body very carefully – in the case of alarming symptoms, we recommend reducing the dose. After 3 days of using diatomaceous earth I observe disturbing symptoms: flatulence, light swelling of the legs and lack of strength! Is it normal? Should it pass over time? We react differently to the consumption of diatomite. Some do not have any side effects, others may include itching, pain, flu-like symptoms etc. (statistically, side effects appear in several% of people using diatomite). Please carefully observe yourself – and possibly reduce the dose or discontinue the product. Please, drink water – drinking too little liquid can lead to constipation, headaches and poor body cleansing. In case of doubts, it is always advisable to consult a physician – even irrespective of the use of diatomaceous earth, an infection or inflammation which has not been previously diagnosed may appear. Can the side effect of using diatomite be a skin rash and itching? Yes, the rash may be a typical symptom of body cleansing, which, with a high concentration of toxins removed, tries to eliminate them through the skin. You can wait or reduce the dose. We invite you to the diaconal earth forum section (blog https://okrzemkinaturalne.wordpress.com/) and to our social networking sites, where we encourage you to discuss and express opinions on diatomaceous earth. When it comes to a relatively new product on the market like diatomaceous earth, customer feedback is very valuable to us. If you have any own observations about the use of diatomite, please send us your feedback. Diatomaceous earth also arouses more and more interest in the environment of doctors, herbalists and advocates of natural methods of health support. In this section, we will systematically add opinions of doctors and other people who support us, regarding diatomite treatment, as well as opinions of your – users! We already encourage you to read the scientific reports on diatomaceous earth and silicon in the “Literature” section. We also invite you to follow “News”, where we post current information about promotions, events and other noteworthy actions from the diatomite world. After a week of use, some of my patients have their first effects in the form of elimination of parasites, hair coming out of dead onions, expulsion of phlegm over years and skin scarring after abrasions. I have an 87-year-old, who has a problem with the movement apparatus, in connection with it he fell over and very much stripped the skin on the tibia bone. I stayed at his house and used diatomaceous earth. The revelation 🙂 the next day the abrasion was scarred, the inflammation decreased a lot and the leg ceased to ache. I saw your blog and it’s cool that it already exists. I will also make an entry soon. In this section we will raise doubts about more formal issues related to the purchase of this rather unusual product, which is diatomaceous earth – price, how to make a safe purchase, what to look for. Customers often wonder where the large diversity in the market results when it comes to the price of diatomaceous earth – why is it worth 60 PLN for 1 kg, and in other places even 5 PLN? In such cases, the price of diatomaceous earth is directly related to its quality and security of purchase. Cheap diatomite is unfit for consumption because it is a crystalline substance, not amorphous and is used for completely different purposes than diatomaceous earth food. The price matters and you should pay attention to it – a good quality diatomite can not be very cheap. If we want to make a purchase safe for our health, we must also be careful about other issues – does the product we choose has the appropriate certificates and is approved for trading? Does the diatomaceous earth that we want to give to our animal have an assigned veterinary number? We invite you to read the most frequent inquiries on these topics. What is the difference between our diatomaceous earth and the one sold for example for EUR 3? Almost all diatomaceous earth types sold in Europe are crystalline (ie quartz – “sand”) used for filtration of swimming pools, aquariums, brewing industry, etc. This form of diatomite is unfit for consumption and DANGEROUS for health for two reasons: 1. It is quartz – it’s like eating a quartz sand 2. It is contaminated, in it can contain very dangerous elements such as arsenic. We offer diatomaceous earth amorphous (non-crystalline), useful for consumption and free of hazardous contaminants. WARNING! 1. People selling crystalline diatomaceous earth appear as amorphous on the Internet! 2. Pure amorphous diatomite is white, chalky; Avoid brown (pollutant) and pinkish (crystalline form, although it can also be white). Make sure that the product you buy has the appropriate certificates and admissions to trading. Is diatomaceous earth allowed for sales? The company introducing the product to the market assumes legal responsibility for whether the product is compliant with European Union law. From 13/07/2013, the EU determines the product’s compliance with EU law. Our Natural Diatoms are the only ones to have American and European approvals and certificates – CAS numbers 61790-53-2, EC No. 612-383-7 100, EU No. 231-2012, EU No. 1129-2011, EFSA 1132-2009. Diatomaceous earth as a geological product is an indefinitely important product. The dihydrate of freshwater origin is certified every year in the USA by the governmental Agency for Drugs and Food (FDA), and every year it receives the OMRI (Organic Materials Research Institute) certificate. It is considered a safe product by Codex Alimentarius. In the US, diatomaceous earth except drugs is used as an additive to nearly 1000 food products as a carrier of available silicon. In Europe, the product has been registered in GIS as a dietary supplement. In addition, we have a BIO and European Union ECO certificate for offered products and a veterinary number for animal products. In case of detailed inquiries, please contact us by e-mail. Is payment possible only through Pay Pal? 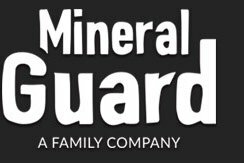 If it is possible, please attach a confirmation of the transfer (at info@mineral-guard.com.pl) – this will significantly speed up the shipment. Please remember to provide the delivery address along with the contact telephone number (if any) for the carrier.